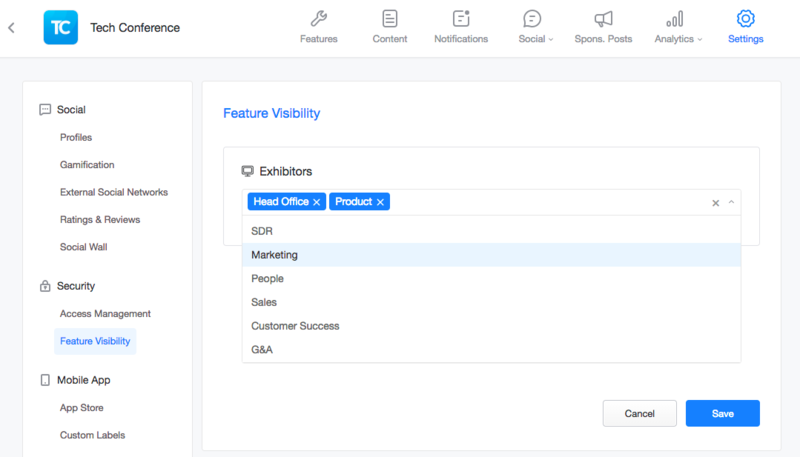 With Feature Visibility, you have the ability to make app features only visible to specific people based on attendee groups. For example, you can create a personalized schedule for your VIP attendees or create features for your event staff to view. 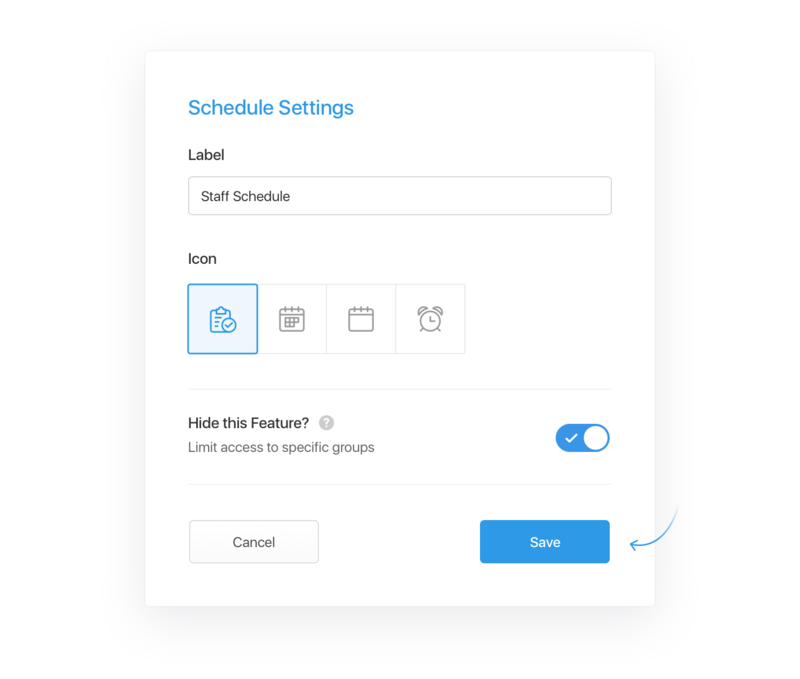 To get started, you need to go to the Features page, hover the mouse cursor over the feature you are interested in hiding and select the pencil icon. In the feature editing window enable the "Hide this Feature?" option and click "Save". Repeat the same procedure for any other feature you want to hide. Now proceed to the Settings tab and find the "Feature Visibility" section. In there you'll see all the features you enabled the visibility option for. Specify all groups that can view a particular feature in the section below its name. If you are not sure how to set up attendee groups and assign them to the app users, check our dedicated article here. 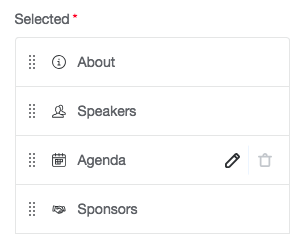 Feature visibility in Multi-Event apps. For Multi-Event apps, you can hide a feature both on a Container level and on an Event's one. For the Container app, just follow the procedure described above. If you have any further questions feel free to reach out to the support team via chat at any Attendify page or email support@attendify.com for more help.